Here is looking at you! 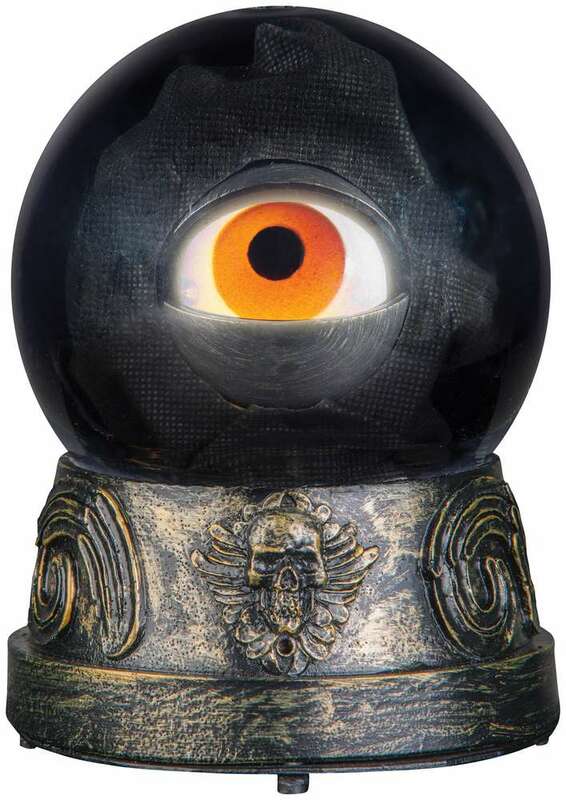 This Crystal ball on a pedestal has an eyeball inside that blinks and looks from side to side. Try me and motion sensor, requires 3-AAA batteries(not included). Measures 6'' x 5'' x 5''. Indoor use only.